aelf created strategic cooperation with blockchain VR platform Decentraland; aelf founder Haobo Ma has been selected to join the committee for the government-affiliated Chinese Institute of Electronics Blockchain Branch; economic system is close to finishing, and it will be announced soon. Crypto — Improved cryptographic signature verification speed and added public key recovery functionality. Mine and Synchronization — Support limiting the mining and synchronization execution time based on configuration. Cross Chain Contract — Side chain lifetime management including request, creation, indexing, withdraw and disposal. Consensus — Implemented the process of reelection and improvements on the DPoS protocol. Testing — Updated and improved new feature testing, including new address format, contract upgrade, proposal contract, and resource contract. 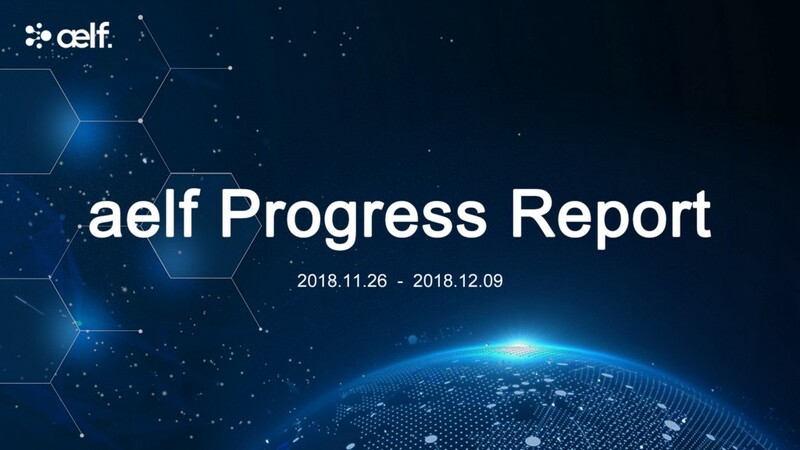 AELF Progress Report (Nov 26th — Dec 9th) was originally published in aelf on Medium, where people are continuing the conversation by highlighting and responding to this story.